Yes it is aggressive entering just below the level. 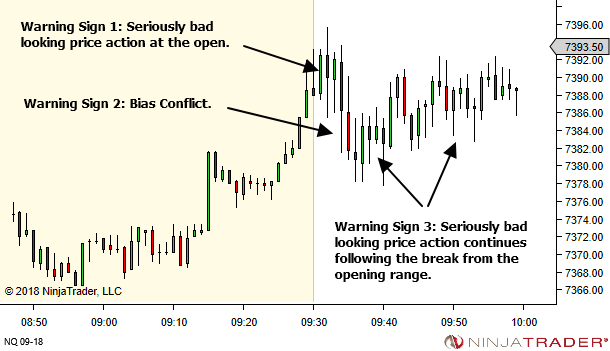 But that was when I was “feeling” price wanting to move higher. 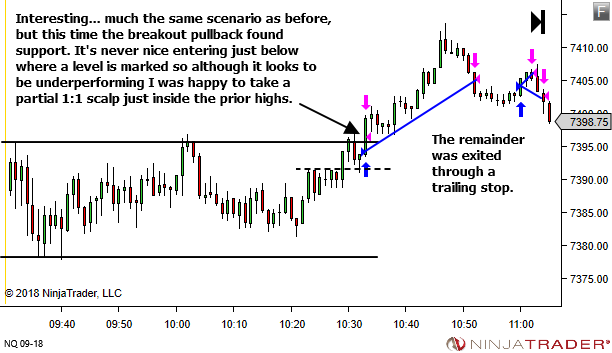 The pullback to that region had found support and price was moving to retest higher. I had room for 1:1 even if it didn’t get to new highs, so was confident that worst case I’d get a small profit and scratch the rest. First PB after the break – yes absolutely. Especially the first one you highlighted. I’m actually disappointed that I didn’t re-enter some there to get back to a full position. 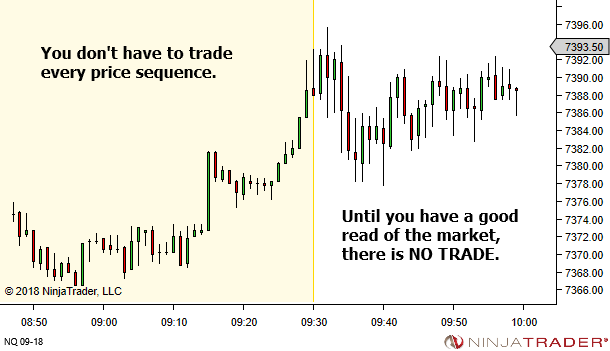 For entry long off the lows – yes, with hindsight it looks good. But I wasn’t able to see this at all live. And stepping bar-by-bar through the chart, I’m not sure it’s obvious either, without that benefit of hindsight. 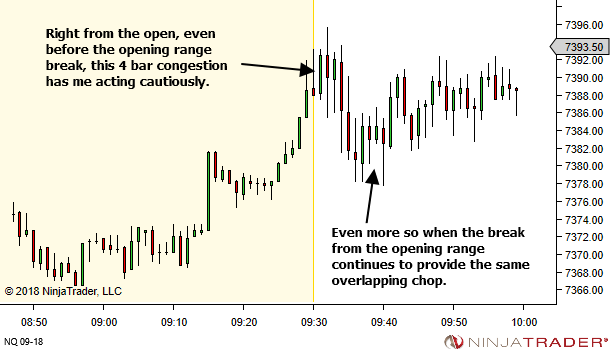 My focus really was only on price interaction with the high or low of the wider range. 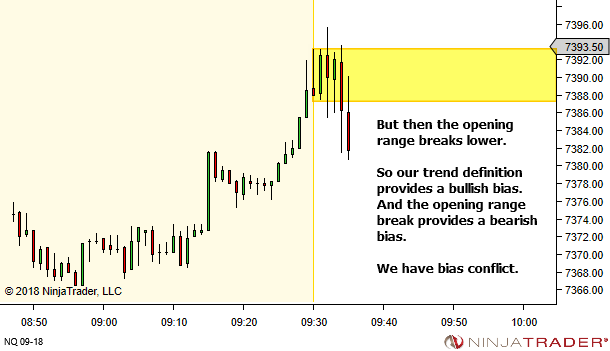 You took long position on Breakout Failure when the price closed back in the range. but according to your principles, you should have waited for the bull candle to break the resistance and then a weak pull back with price closing above the resistance and then taken long position. 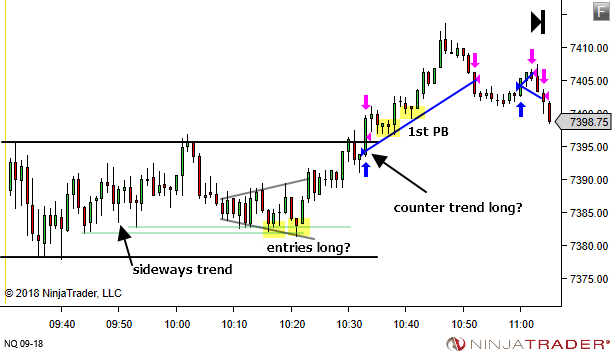 The reason for that comment is that you’re right that the absolute ideal BPB entry LONG would involve a definitive and strong break through the level along with a weaker pullback. Ideally that is what I was looking for. And in fact (with hindsight) there was perhaps this situation just four candles later. However note the dashed lines in the third-last image and then the second-last images. 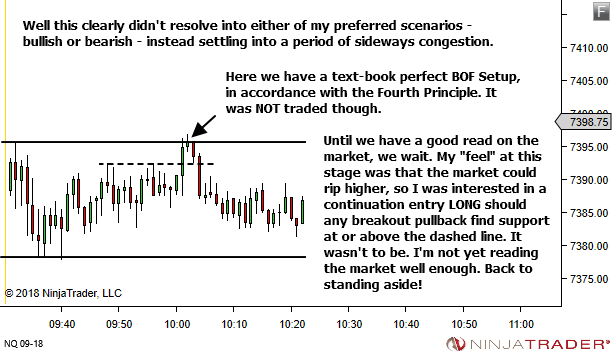 The issue here is that, given a break of the resistance area, where can we expect a BPB to find support. 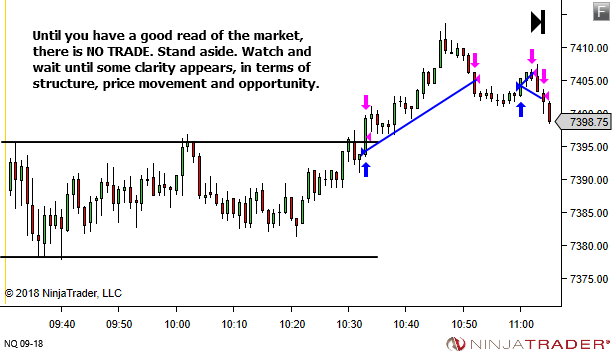 It’s reasonable to expect that price may drop through the marked line but find support at this dashed level. The dashed level didn’t end up providing that support on the third-last image, so this became a confirmed BOF setup. But it did in the second-last image, ultimately confirming a BPB. 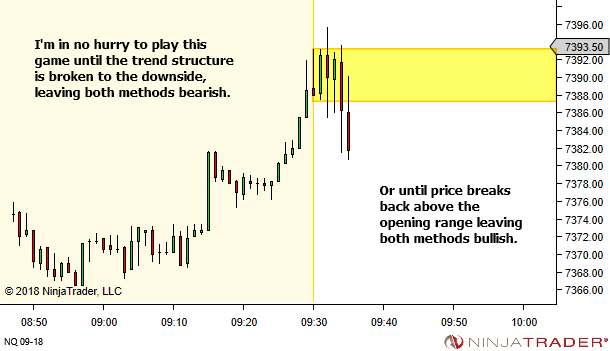 Remember, S/R are actually areas, they’re rarely seen as single price levels. 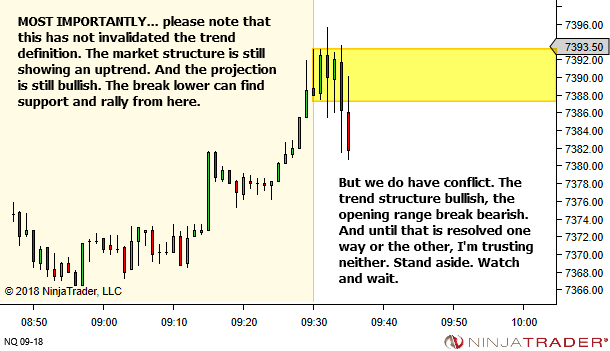 So it’s all well and good for us to mark a single line as shown, but we must allow potential for the actual area around this to provide the support or resistance. This was not an easy entry. 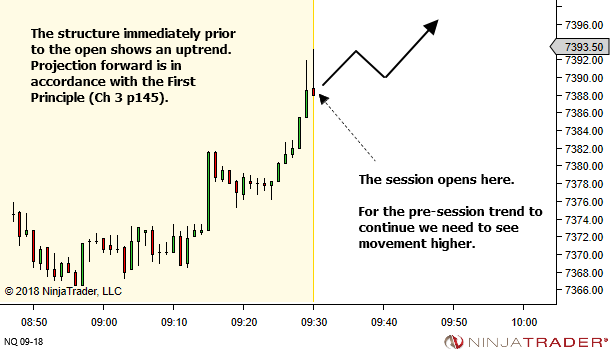 But while price held above the dashed level there was still potential for the BPB. That’s what I was playing. Not a text-book perfect setup. But reality is not always text-book perfect.